San Antonio All Cash We Buy Houses San Antonio! Need To Sell Your House Fast? Short Sale vs Foreclosure – What’s the Difference in San Antonio? Should I Foreclose or Short Sale? I Don’t Know The Difference! Whether you’re a buyer or a borrower/seller, a short sale, and foreclosure each present different advantages and difficulties. What Is A Foreclosure In San Antonio TX? In simple terms… “A foreclosed home is one in which the owner is unable to make his mortgage loan payments and the bank repossessed the home” (source). If you stop making your house payments… your lender has the right to foreclose on your property so they can attempt to recoup their money that was lent to you. A home is typically foreclosed on when a borrower fails to make mortgage payments. The lending institution assumes ownership and possession of the property, evicting the borrower. These properties are then sold at auction or more traditional means utilizing the service of real estate agents. A foreclosure can damage the credit rating of a borrower, and make it very difficult to obtain a mortgage for many years. 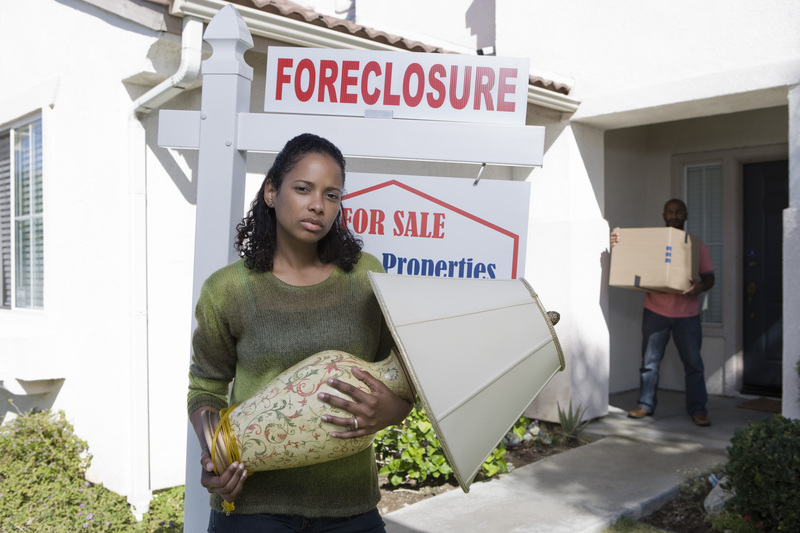 Depending on the state that you live in… a foreclosure can work in different ways. Check out the foreclosure process information over here at the HUD Government website. In a short sale, the home is still owned by the borrower. In some cases, a short sale is an option agreed upon by borrowers and lenders. In a short sale, the home is sold for less than the outstanding balance of the mortgage. The unpaid balance (known as the deficiency) may or may not still be owed by the borrower. This option typically takes some time, as a few different lending institutions may own the mortgage. All parties who have a stake in the property must agree to the terms of the sale, and a potential deal could fall through if even one lender doesn’t agree. While both options can have ramifications, a short sale often has less of an impact on the borrower’s creditworthiness. A foreclosure could impact a borrower’s credit score by 300 or more points, where a short sale may only dent the credit score by 100 points. Borrowers who are foreclosed on are often ineligible to purchase another home for 5-7 years with a traditional mortgage, where under certain circumstances, a short sale borrower can purchase immediately. As many Americans struggle with an economy that has yet to completely recover from the 2008 crash, folks are having a hard time making monthly mortgage payments. Choosing between being foreclosed and initiating a short sale (or a 3rd option… selling your San Antonio house fast )is an easy choice for a borrower having troubles paying their mortgage on time. Sometimes, lenders are willing to work with borrowers to complete a short sale, to avoid the fees and time-consuming process of conducting a foreclosure. Our suggestion is always this. Talk with your lender and discuss ways that they can work with you on your loan. We offer this service where we can help guide you in the right direction if you run into issues with your lender… just reach out to us on our Contact page and we’ll discuss your situation. Attempt a short sale or other programs your lender may have that forgives part of your loan, creates a new / more affordable monthly payment so you can get back on your feet, etc. Foreclosure. Last resort is to let the house fall into foreclosure. This is the worst possible scenario. It’ll harm your credit and you could still be left with money owed to the bank even after the foreclosure is finished. By knowing your options, you may be able to dodge a significant impact on your credit score, allowing you to purchase a new home when your situation improves. A foreclosure on your credit report makes that possibility extremely difficult for 5-7 years, so if you have the opportunity, a short sale can be the better option. Have a pending foreclosure? We’d like to make you a fair all-cash offer on your house. To get started, simply enter your property address and contact information. If you prefer, you can call 210-880-2817 now for your no-obligation CASH offer. We Buy Houses San Antonio How The Process Works. We Buy Homes San Antonio-Contact Us Today For A Quick Deal.